As in so many emergencies, the heroes of Superstorm #Sandy are definitely the first responders from firemen, police, National Guard, and emergency medical personnel who rushed to deal with emergency situations even while the storm was at its height. 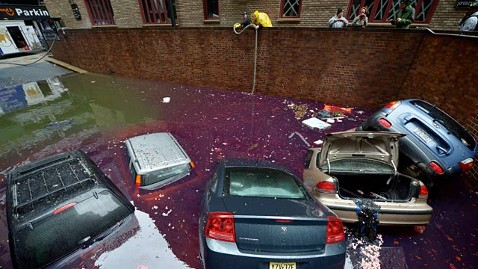 These first responders have to rush into extremely hazardous conditions, often with live power lines, broken gas lines, or work around sewage, spilled chemicals, or other pollutants, such as is happening in Hoboken, all while trying to save lives. Published by the experts at Department of Transportation’s (DOT) Pipeline and Hazardous Materials Safety Administration (PHMSA) in conjunction with Transport Canada, the Emergency Response Guidebook 2012 is the newly updated guide for use by transporters, firefighters, police, and other emergency services personnel who may be the first to arrive at the scene of a transportation incident involving a hazardous material or “Hazmat” as it is usually referred to in the United States. The Emergency Response Guidebook 2012, or ERG as it is known popularly to those who use it, provides first responders with a go-to manual to help deal with hazmat accidents during the critical first 30 minutes. PHMSA’s goal is to place one of these ERGs into every emergency service vehicle nationwide. While the subtitle is: “A Guidebook for First Responders During the Initial Phase of a Dangerous Goods/Hazardous Materials Transportation Incident,” it can be used during any emergency incident where hazardous materials are present. STEP ONE: Identify the HAZARDOUS MATERIAL by finding either the Name of the Material or the Identification Number (4-DIGIT ID after UN/NA) of the material from a placard or orange panel on the container or from the shipping paper or package. STEP TWO: Identify the 3-digit GUIDE NUMBER in this guidebook that corresponds to the material name or number. STEP THREE: Follow the GUIDE INSTRUCTIONS carefully on the corresponding orange-bordered numbered guide page. Here is the cross-reference to the Guide number to follow for the above hazardous material # 2880, which we find is Calcium hypochlorite, corresponding to Guide number 140 in the ERG. IMAGE: Cross-reference for hazardous material ID number to the ERG Guide number. Looking up Guide number 140, we find that water is to be used to deal with this particular material, not dry chemicals or foams such as from fire extinguishers. 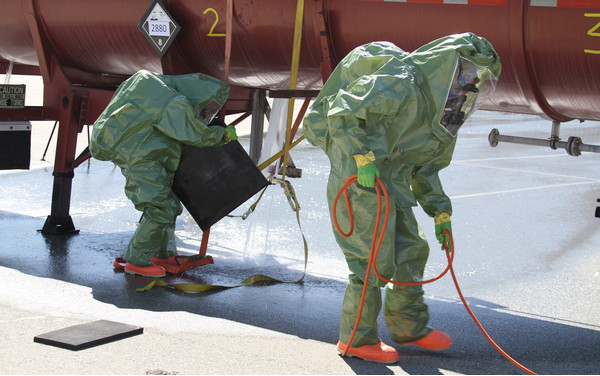 Each Guide page also discusses how to handle small or large fires of this material, fires involving whole tanks for trailer loads, spills or leaks of this material, and first aid for anyone injured by this substance. The ERG 2012 also provides guidance for responding when the hazardous material is unknown, with a Table of Placards and Emergency Response Guide to Use On-Scene. Whom do the first responders call? Since first responders can’t have the answers to every time of hazardous material incident, the guide provides a list of toll-free, 24-hour emergency response hotlines to call for the United States and U.S. Virgin Islands, and numbers to call for incidents involving military shipments with explosives, ammunition or other dangerous goods, as well as CBRN (Chemical-Biological-Radiological-Nuclear) incidents and terrorist or criminal incidents involving IEDs (improvised explosive devices), pipe bombs, car bombs, suicide vests and more . It also includes numbers for all provinces in Canada, including bilingual French-English phone numbers, and hotline numbers for Mexico, Argentina, Brazil and Colombia. And finally, a terrific glossary of terms helps decipher some of the jargon. Firemen, bomb squads, CBRN teams, police, emergency medical personnel, military police and other first responders have a hard enough job to do without risking their lives dealing with broken pipelines, overturned tankers, bombs, spills, and other hazardous materials. Fortunately the Department of Transportation provides this excellent tool to help keep them—and us—safer. That’s something we can all respond to. 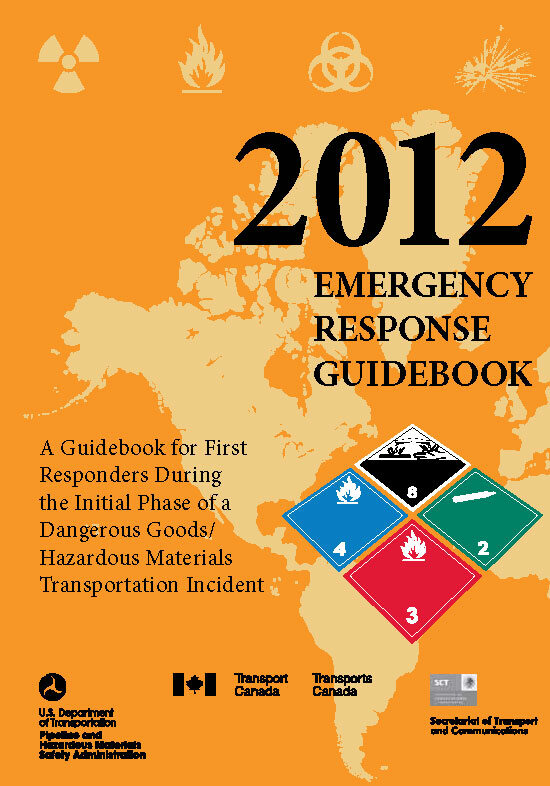 HOW DO I OBTAIN “Emergency Response Guidebook 2012”? Buy a print copy online 24/7 at GPO’s Online Bookstore. NOTE: Save 60% off the original price of $28. Now only $10. Find it in a Federal depository library. Find this and other books for Emergency Management and First Responders under the Security, Defense & Law Enforcement category on our new online bookstore. About the Author: Michele Bartram is Promotions Manager for GPO’s Publication and Information Sales Division in Washington, DC, and is responsible for online and offline marketing of the US Government Online Bookstore (http://bookstore.gpo.gov) and promoting Federal government content to the public.